From authentic street food to full nine-course meals, Italian cuisine includes some of the most exquisite dishes you will ever taste. However, there is actually a science behind the series of courses in a typical Italian meal. 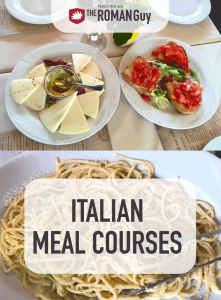 In this guide, learn which Italian meal courses are served when, and what to expect at a traditional Italian dinner. We pride ourselves on immersing travelers into local culture when they visit Italy. 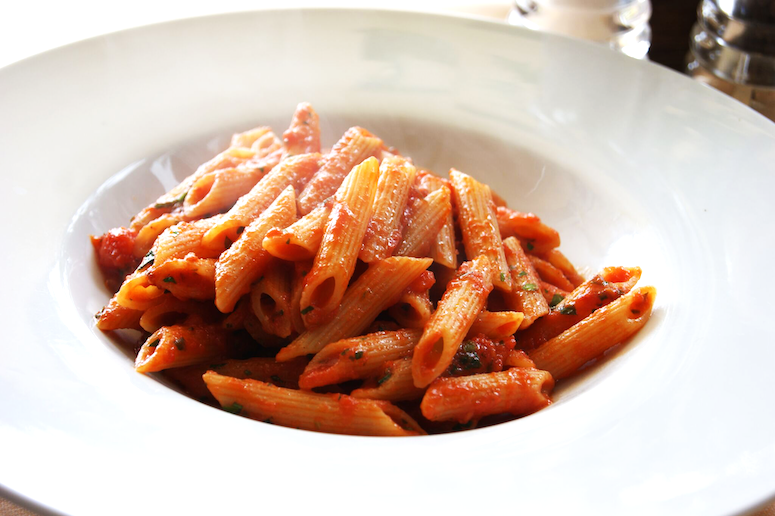 And with such a delicious selection of cuisine, immersing yourself into Italian food culture is an absolute must. 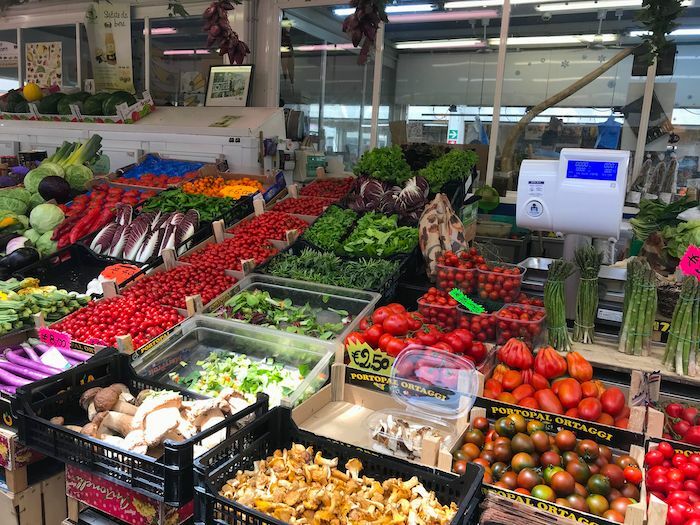 Whether you’re visiting Rome, Florence or Venice, we have spectacular food tours that will allow you to experience our favorite spots in each city. Want to go a step further and learn how to make local cuisine? Check out our new Rome Walking Tour With Pasta Making Class and Lunch. Did you know we have food tours in other locations too? With a boss food tour in Paris and a tasty tapas tour in Barcelona, we’ve become leaders in foodie culture all over Europe. 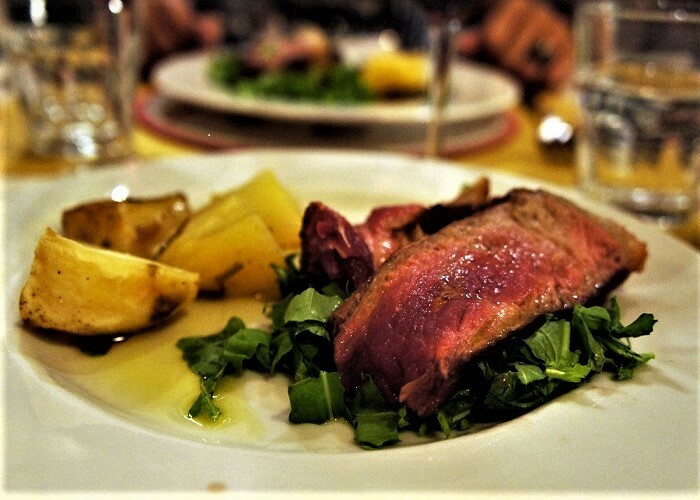 Before diving into the courses themselves, it’s important to understand why dinner is taken so seriously in Italy. At family dinners, and especially holidays, dinner can last up to four hours or more. Traditional Italian dinners are a no-phones-allowed ritual, where families and friends can get together and enjoy the pleasure of each other’s company. Italian dinners are long, and for good reason. As our CEO likes to say, “the beauty is in the process.” An Italian meal is an art, with each course as a different step to creating a finished and delicious product. Why do Italians eat dinner so late? When visiting Italy, you’ll notice that locals don’t typically eat dinner until 9 or 10 p.m. Local restaurants typically don’t even open until 7:30 or 8 p.m. Why? Aperitivo! 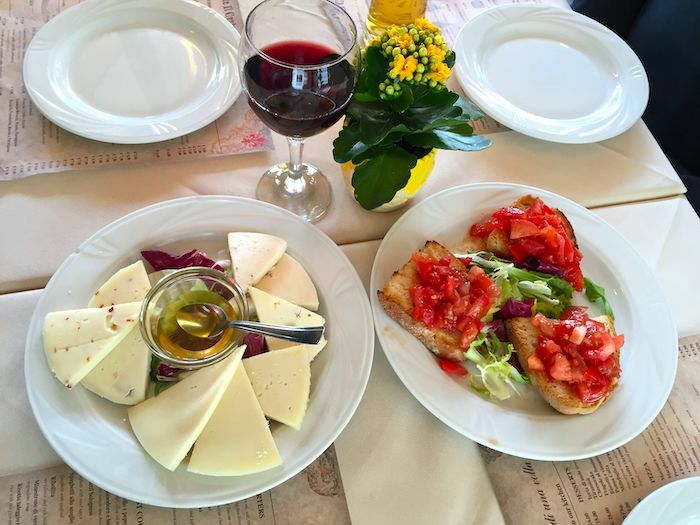 Traditional Italians like to enjoy a casual drink and small plates before dinner to socialize with friends and family. At a traditional aperitivo, you will find yourself enjoying light drinks such as wine, prosecco and spritz as well as various nuts, cheeses and olives that are local to the region. Light crackers and cheese or a plant-based dip are examples of some great items to feature in an aperitivo spread. Don’t overindulge just yet, as you still have six more courses to eat. Aperitivo can give you a tiny glimpse of the delectable meal that is to follow. If you are a fan of meat and cheese, then antipasto is a perfect course for you. Why is antipasto called antipasto? Well, the word actually comes from the Latin prefix “anti” meaning “before” and root “pastus,” meaning meal. So it quite literally translates to “before meal.” This course is a little heavier than the aperitivo and often features a spread consisting of the best cheeses, meats and even vegetarian dips that the restaurant can offer. Salami, mortadella and prosciutto take their spots on the serving plate while cheeses like Pecorino, Mozzarella and Parmigiano-Reggiano assume their positions right alongside them. Crostini are likely to be served and paired with bruschetta for added flavor. 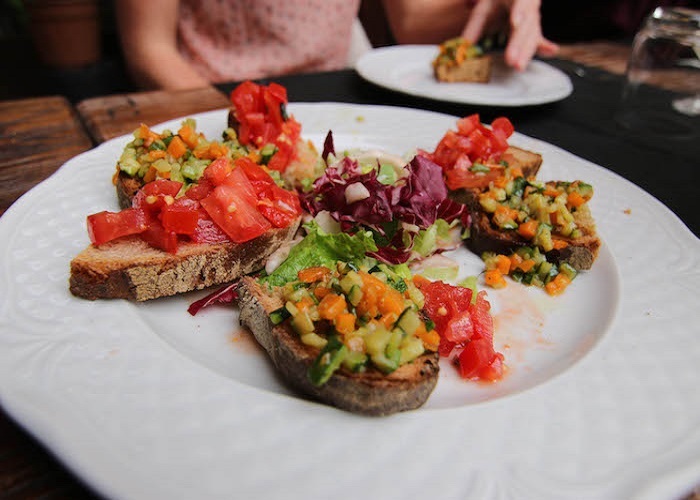 Some restaurants might have vegetarian options available, Balsalmic Eggplant or Roasted Vegetable Bruschetta are both delicious choices that you should keep an eye out for. Primi Piatti is the first official course in a traditional Italian meal. Pasta, Risotto, Soup, Polenta, Casserole…the “pastabilities” are endless when choosing what primo piatto you want to indulge in. By the time primi rolls around, you’re absolutely famished. As you can tell, this course is definitely heavier than the first two but will be a little lighter than the Secondi Piatti. You may want to gorge yourself with your first course, but keep in mind, secondi is right around the corner. Luckily, you will have about 30 minutes in between courses to get hungry again. If you are interested in making your own pasta, we offer a Rome Walking Tour with Pasta Making Class and Lunch. This tour gives you a walking tour of all the main landmarks in Rome and ends with a pasta making class. You’ll even enjoy a delicious lunch, complete with pasta, wine and tiramisu. Secondi Piatti will feature different types of meat and fish. Sausage, veal, steak, rabbit, chicken and lamb are just a few mouthwatering examples of secondi that can be served at a typical Italian dinner. Italians will typically only eat gamey meats. If you’re wondering how you eat an entire protein meal after a full plate of pasta, keep in mind that Italian ports are small. Secondi also is often a smaller portion than primi, and can be shared between people. Contorni is a side dish that is primarily served along with the Secondi Piatti. Some of the most popular contorni include chicory, Broccoli Romano, salad and potatoes. The two dishes are meant to balance each other out and together, become the perfect pair that anyone can enjoy. 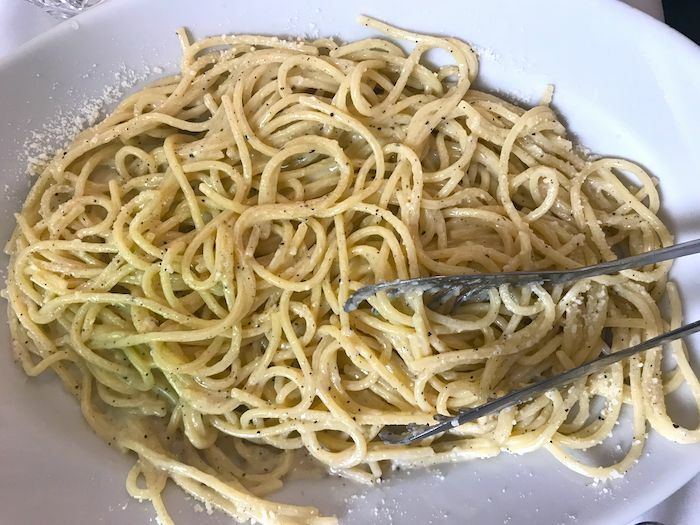 Contorni is not a staple of the Italian meal, but definitely a great addition if you’d like to pair your main dish with a side. Insalata is exactly what it sounds like, salad. Although its name sounds predictable, its timing throughout the meal is definitely not. 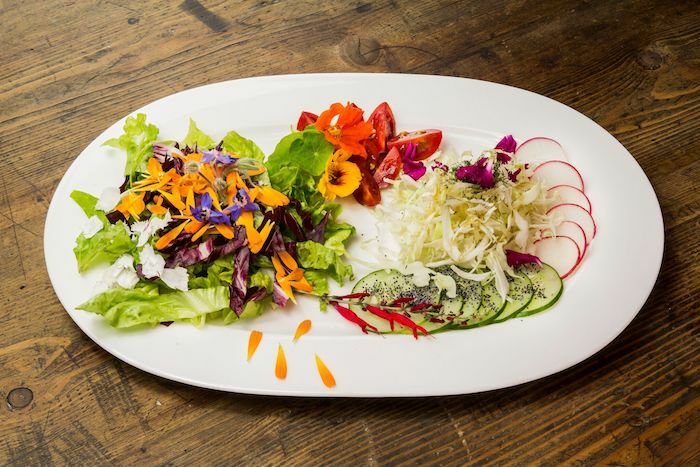 This salad is served after Secondi e Contorni and just consists of crisp, leafy greens dressed with a little oil and vinegar and a little bit of salt and pepper. Depending on the restaurant, this course will sometimes be omitted. However, if you get the opportunity to have Insalata, trying the seasonal greens from the region are always tasty, refreshing and worth it. Last but not least, any sweet tooth’s favorite course is Dolce. You may recognize the term dolce from La Dolce Vita, a classic Italian film. Dolce or dessert is usually the last course of an Italian meal, though sometimes you may be served a digestif. There are many Italian-American dessert traditions that do not fly over the in the motherland. For example, drinking cappucino after dinner is a tourist’s mistake. Don’t expect cannoli in restaurants, but not to worry, tiramisu is popular in both Italian-American and authentic Italian culture. 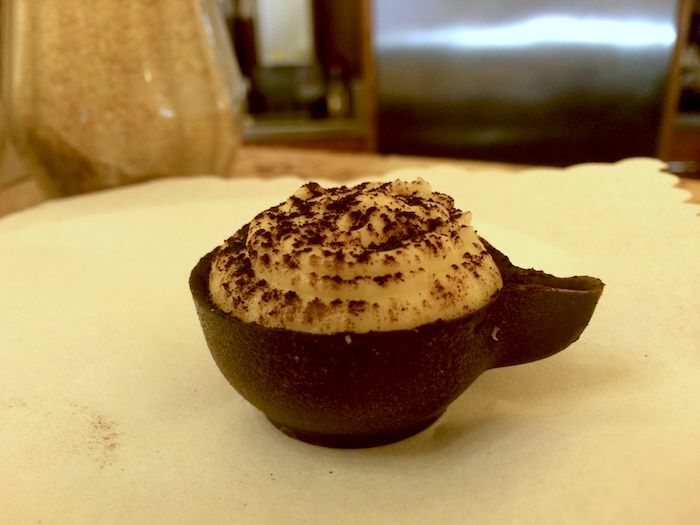 Tiramisu, panna cotta, tartufo, millefoglie are all delicious examples of desserts you can choose from. If you want us to arrange your private transfers in Rome (and beyond! ), contact us today. Check out our YouTube video and step-by-step guide about how to do Rome in a Day. If you’d rather let us guide you, check out our Rome tours. Not sure where to stay in Rome? Read this guide!